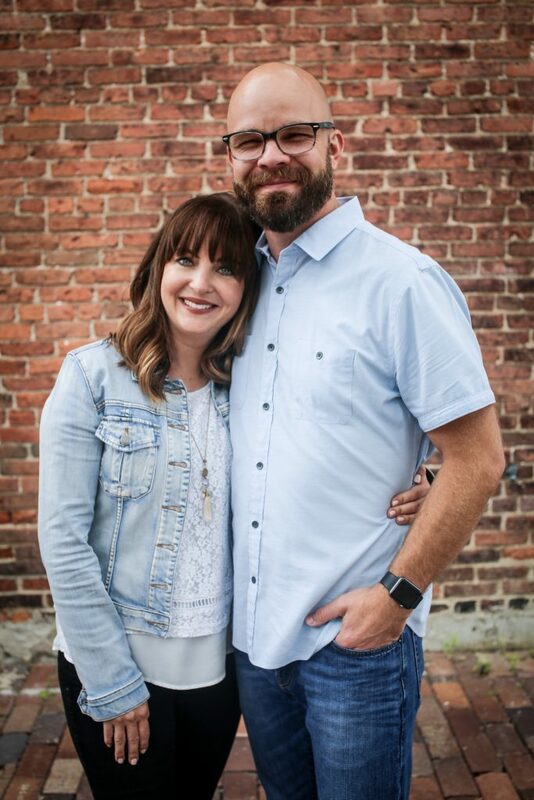 In our lifelong pursuit to love one another, we both determined that we would constantly set out to reinvent ways to bless each other in our marriage. Not only is it fun to bless your spouse, but it is also a great way to allow the love of Christ to flow freely through you with no expectations attached. And to us, practicing the unconditional love of Christ is of utmost importance in our marriage and life in general. 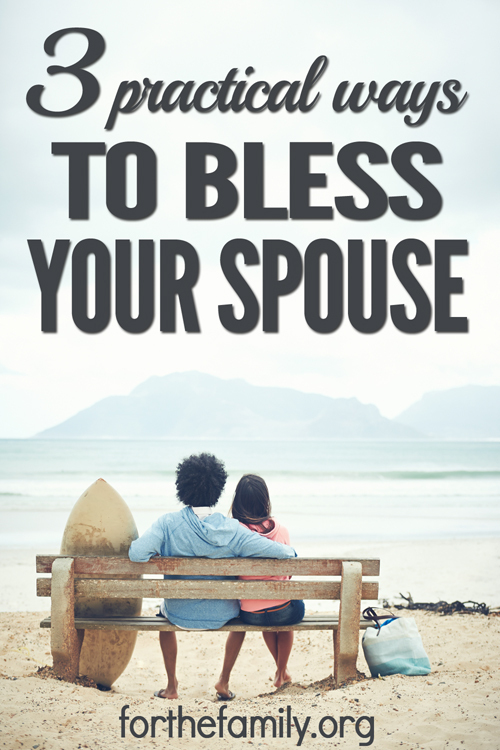 Over the past 14+ years we’ve walked the earth as husband and wife, we have come up with a very long list (over 500+ ways) of ways to bless one another. Today we want to share 3 items off of our list to inspire someone out there to take the time out each day to bless his/her spouse in a meaningful and practical way. One of the easiest but often overlooked ways to bless someone is to simply listen. In a world filled with an abundance of godless chatter, it is important to listen to your spouse. It is often in the quiet of listening to your spouse share that you can connect and bless him/her with the reassurance that what he or she thinks and feels matters to you. The Bible is very clear that the words we speak help create the atmosphere of our heart and circumstances of our life (see Proverbs 18:21). 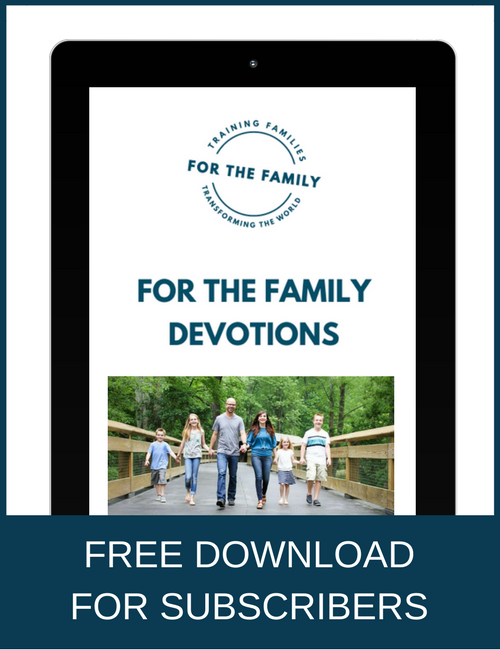 What if you set out to speak life-giving words over your spouse on a daily basis? What would happen? We can both testify from personal experience that if you have the audacity to take God at His word and speak life where there seems to only be death — He can and will turn it around. We have faced so many difficult circumstances in our marriage where we have both had to fight (alone and together) to overcome. Speak God’s word and let Him fight the battle for you. Remember the battle is not against flesh and blood. If we are being honest, sometimes it can be very difficult to remember that the battle is not against our spouse (or any other human for that matter). As Christians we know that everything starts in the spiritual realm and then manifests in the natural. In order to protect our marriages and be a continual blessing to our spouses, we must fight with the weapons of spiritual warfare that God has blessed us with in Christ (see Ephesians 6:10-20). It is all too easy to come up with excuses and reasons why we are not actively blessing our spouses. Blessing our spouses does not have to be anything beyond loving them and letting them know how important they are in a practical way. Let’s make it a daily quest to look for ways (new and old) to bless our spouses and let the love of God reach them in their daily lives in a practical and fulfilling way. Let’s show the world that Jesus is able and willing to help us fulfill the powerful and intimate covenant of marriage! That is beautiful and so very important! Thanks for stopping by, Preston! Just don’t tell her you love her, SHOW her. Yes, Michael. Truly actions speak louder than words. Thanks so much for stopping by. i am getting married in January and I love this. I know we’re not married yet but I definitely understand why this is a big deal. Me and my fiancé don’t feel “together” until we’ve had a chance to sit down and recap our lives. If things have happened since we’ve seen each other (and there’s a lot going on right now), it feels wrong to do anything before we’ve had a chance to listen. When nobody else cares and you are constantly being dismissed, having someone there to just share things with really is such a huge blessing. Victoria, Congratulations on your upcoming wedding! That is wonderful that you already have that communication set in your relationship. We are excited for you and your soon to be husband. Have a wonderful night! I love these 3 tips! So so true. My husband and I have been married for almost 5 years and we try to daily say I love u and find ways to show each other. If you don’t invest in your marriage then someone else will come along and destroy it. my husband and I have been married for 41 years. He was a lawyer for 20 years and went back to school to become a Pastor. We have always made daily time for family and love. God bless you both in your ministry and marriage.